And it’s back in a big way. Whenever divisional foes Chicago Bears and Green Bay Packers meet, you know there’s always a chance for fireworks, but Sunday Night Football delivered something a little extra special in Week 1. In the perfect craving crusher that football fans have been salivating all summer for, Aaron Rodgers and the Packers staged a huge comeback to defeat the Bears. In what has become typical of the future Hall of Famer, Aaron Rodgers gutted out the improbable. 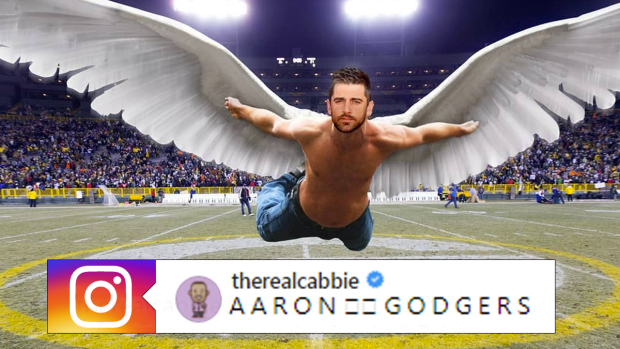 After a first half leg injury appeared to put Rodgers’ night in jeopardy, #12 returned to the field with a message to send. When all the dust settled (including an electric 75-yard touchdown from Rodgers to Cobb), the Packers were sitting pretty with the W.
The football world rejoiced as they became reminded as to why football is such a beautiful sport. AARON CHARLES RODGERS x RANDALL LADONALD COBB x HOLY BLEEP!!!! Aaron Rodgers did all that tonight on ONE LEG. Last question to Aaron Rodgers in postgame interview on NBC was whether he’s playing next week vs. Vikings. “I’m playing next week,” Rodgers said without skipping a beat. Of course he is. Batman fights crimes, Aaron Rodgers grins. James Bond saves the World, Aaron Rodgers shrugs. Houdini escapes upside down from a tank full of water, Aaron Rodgers yawns. Orchestrate a comeback on one leg, against a relentless pass rush? "Yeah, that's my jam" Rodgers says.